FSU President Marlene Kim’s remarks to the Board of Trustees, UMass Lowell, September 19, 2018. 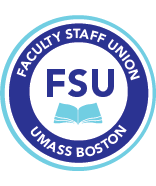 I am the President of the Faculty Staff Union at UMass Boston. I broke my leg this past weekend, so I wasn’t going to address you today. But I decided to appear because I wanted to tell you that UMass Boston is broken. We’ve been appearing at Board of Trustees meetings for over two years to tell you that it is broken, but we have received few resources and little help. As you know, when UMass Boston opened in the 1970s, the concrete that was used for our buildings was inferior. The campus immediately started falling apart, including the parking garages, which were housed in the substructure of the buildings. UMass Boston never received the full resources we needed to fix this substructure, move the utility corridor, and construct new buildings that are needed because the old buildings need replacing. We were given some money, and some loans, but we must pay the principal and interest on these loans. Today we have a new garage. But we have to pay for this new garage. The parking rate for students is $15/day (they cannot afford to pay this, and unless they buy a semester or monthly pass that they also cannot afford, they must pay this daily rate for parking). Students, faculty and staff must pay for this new $75 million garage, even though the reason we need this new garage is because of the original faculty construction. Imagine if someone built your house and it started crumbling from the day you moved in, so that you need your house re-built. Imagine being told, “We’ll give you a loan for a new house, but you have to pay the principal and interest on this.” You wouldn’t accept that. You would sue the criminals and get a new house. We’re telling the Board of Trustees that we need a new campus; we need a new garage. We, the faculty, staff and students should not pay for this. We should not pay outrageous parking fees because the original garage was built in a faulty manner. We’re told there isn’t money. But UMass Amherst can buy a second campus in our backyard--truly there is money in the system. UMass Lowell can have a free commuter service to and from Boston, so there are state resources for transportation. At the same time that our students, faculty and staff are asked to pay more, why is the UMass System pushing for these and not for transportation facilities for us? A lot is written about institutional racism and institutional inequality. Poor areas have no connections, no funding, and stay poor. UMass Boston is a majority minority campus. Almost half our students qualify for Pell Grants. Almost half are English as a Second Language learners. We teach first generation college students. We were told, get your house in order, get your budget in order, then you will get money and help. We got our house in order--we undertook cuts—so, now, where is the money? Now we’re told that people finally did lobby the state for money for our campus this past summer and were told there was no money--we have to wait a few years. That’s unacceptable, because for years we have been telling you to get us more money--we shouldn’t have to pay for the new buildings and garage--not when one campus has two campuses and Lowell has free commuter rail service. We should not have to pay for construction needed through no fault of our own. To do so is perpetuating the institutional racism and institutional inequality in Massachusetts and in the UMass System. It’s your responsibility to change this.